In the second entry in this "sharp, new crime series," the search for a missing judge leads Samantha Kincaid into Portland politics and a labyrinth of crime, corruption, and cover-ups (Publishers Weekly) Deputy District Attorney Samantha Kincaid is back at work after an attempt on her life and a promotion into the Major Crimes Unit. When the husband of Portland, Oregon, city judge Clarissa Easterbrook reports her missing and Samantha is called out on the case, she assumes her only job is to make the district attorney look good until the judge turns up. When the police discover evidence of foul play, however, Samantha finds herself unearthing secrets that Clarissa had wanted to stay hidden, the lingering personal tolls of a crime that occurred decades ago. And when those secrets lead to the discovery of corruption at the highest levels of the city's power structure, Samantha realizes that her quest for justice could cost her not only her job but her life. In the skillfully plotted, highly suspenseful follow-up to her acclaimed debut, Judgment Calls, Alafair Burke once again demonstrates that "she's got what it takes" (Michael Connelly). With its irreverent heroine and seamless blend of squad rooms, street scenes, and courtroom drama, Missing Justice confirms Burke's place among the genre's most talented and exciting newcomers. 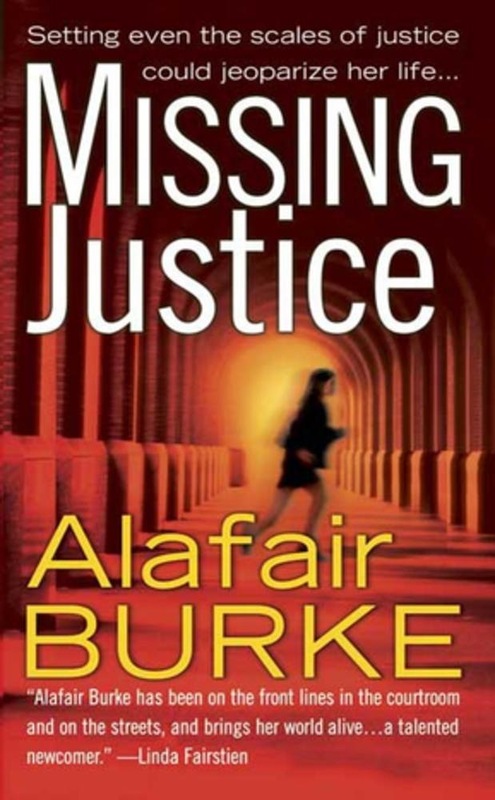 Acquista Missing Justice in Epub: dopo aver letto l’ebook Missing Justice di Alafair Burke ti invitiamo a lasciarci una Recensione qui sotto: sarà utile agli utenti che non abbiano ancora letto questo libro e che vogliano avere delle opinioni altrui. L’opinione su di un libro è molto soggettiva e per questo leggere eventuali recensioni negative non ci dovrà frenare dall’acquisto, anzi dovrà spingerci ad acquistare il libro in fretta per poter dire la nostra ed eventualmente smentire quanto commentato da altri, contribuendo ad arricchire più possibile i commenti e dare sempre più spunti di confronto al pubblico online.